Legazpi City - Region V is included by the Department of Education for the first batch of public school teachers assured by Education Secretary Leonor M. Briones for the release of their performance based bonus (PBB) this November. 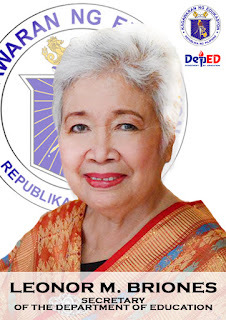 According to Briones the PBB was supposed to be released last month but was moved to November after it was subjected to a thorough scrutiny by an inter-agency task force through the Department of Budget and Management (DBM). Earlier than this, Roy Banas, Information Officer of DepEd Bicol said in an interview with DZGB News over Bicol Target Program that all the pertinent documents were submitted and recieved by the DepEd Central Office for processing.